One Eternal Day: "I'm in a hurry, but God is not!" "I'm in a hurry, but God is not!" I hate to wait. My image of hell is an eternity of standing in line, waiting in the lobby of some Kafkaesque bureaucracy. My teeth clench, my blood pressure rises, my field of vision narrows and my temper erupts. I've embarrassed my wife, my friends and myself at things I've said and done when I've had to wait. And I'm forced to do it several times a week—at supermarket check-out counters, in freeway traffic snarls, at the bank, and in fast-food drive-throughs. These daily waits never fail to try my nerves. But there is another, more acute kind of waiting—the waiting of a childless couple for a child; the waiting of a single person for marriage or whatever is next; the waiting of the chronically ill for health or death; the waiting of the emotionally scarred for peace; the waiting of men and women in dead-end careers for a breakthrough; the waiting of unhappy marriages for relief or redemption or escape; the waiting of students to get on with life; the waiting of the lonely to belong. 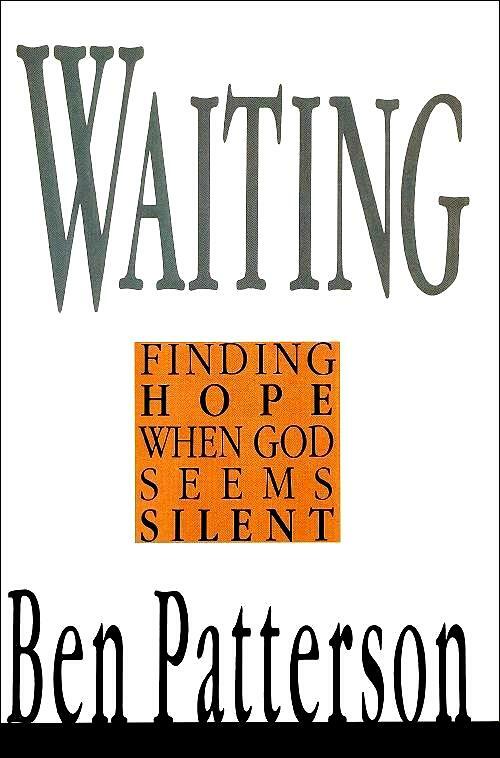 For Christians caught in these kinds of waitings, the question is, "How long, O Lord?" How long, indeed. It's a good question, a biblical question. Even martyred saints, standing in the presence of God in heaven, ask it (Rev 6:10; see also Ps 119:84). And it has little to do with how many weeks or years remain. It has everything to do with hope. It's really asking: "Can I trust you, God? Is there any meaning in all this? Why me? How much more do you think I can stand? What are you doing, Lord?" The great nineteenth-century preacher Phillips Brooks was renowned for his gentle spirit and enormous patience. But one day a friend walked into his study and found him pacing back and forth, terribly agitated. He was shocked. "Dr. Brooks! What on earth is the matter?" he asked. 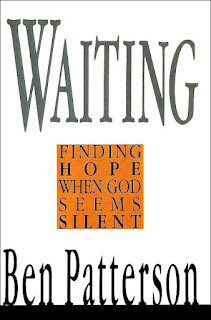 I write this book out of one central conviction: that at least as important as the things we wait for is the work God wants to do in us as we wait. The apostle Paul says we Christians are people who rejoice in the hope of the glory of God (Rom 5:2). Amazingly, the "glory of God" he refers to is the people we will have become when Christ returns, for it is God's good pleasure to one day reveal his glory in us. In fact, the pains of waiting are really the pangs of childbirth—our birth (Rom 8:18-23). Paul says we can therefore even rejoice in our sufferings, the things we must put up with as we wait, "because we know that suffering produces perseverance; perseverance, character; and character, hope" (Rom 5:3-4). In other words, God is doing a good work in us as we wait, producing in us things like perseverance and character and hope (see Jas 1:4). The apostle Peter is more colorful. He compares our faith to gold that must be purified by fire. As we wait we suffer, but this happens so that our "faith—of greater worth than gold, which perishes even though refined by fire—may be proved genuine and may result in praise, glory and honor when Jesus Christ is revealed" (1 Pet 1:7). Gold refined by fire: that's what the waiting is about. God to keep his promises. "Religion is not a melancholy"
"The opiate of the people"
"If thou but suffer God to guide thee"